If your business is looking to market a product or service to purchasing and procurement professionals it can be hard to know how to get started. One of the most vital factors of any marketing campaign, no matter the industry, is having access to the right people; those in the right place and sector and with the right kind of budget to fit. Not only that, but you need to find direct contact details to ensure that your time and resources aren’t wasted by constantly coming up against gatekeepers or invalid email addresses. This is where listbuilding comes in; an important tool that will easily become your company’s greatest asset when it comes to engaging with customers and driving sales. As an industry with a global annual revenue in the trillions, those looking for potentially lucrative deals within purchasing and procurement certainly have a wealth of opportunity to find them. 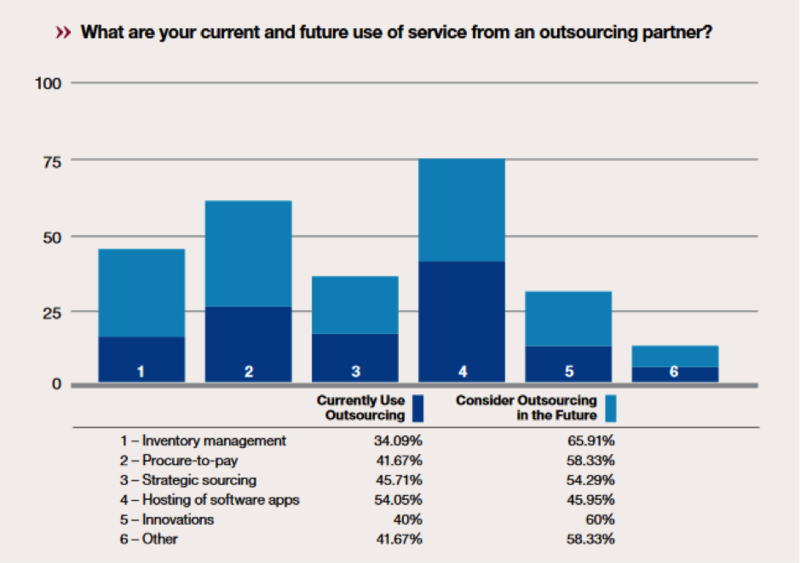 Companies looking to expand worldwide as well as generally lowering costs have been increasingly turning to outsourcing, research from The Deloitte Global CPO Survey 2016 found that 12 percent of CPOs are looking to increase outsourcing of category management/strategic sourcing and 26 percent of CPOs are looking to increase outsourcing levels of operational buying. This trend has had positive effects for the companies who implement it; a study found that outsourcing indirect procurement processes can save companies up to 14 percent, and as a result the global market for procure-to-pay (P2P) outsourcing will increase by 16 percent annually for the next four years. Opportunities are also rife for businesses looking to market their technological product or service to purchase and procurement professionals. The implementation of new technologies has already been a game-changer for many in the industry, and research from The Deloitte Global CPO Survey 2016 found that 70 percent of CPOs are focused on user engagement and experience through delivering self-service solutions; 42 percent on mobile technologies; 45 percent on cloud-based computing and 16 percent on social media. What Is Listbuilding And Why Is It Important? In simple terms, a list is just a database of contacts of your potential leads and customers. Once you’ve gathered plenty of high quality data, it will become an incredibly valuable tool for your business in terms of quickly and easily interacting with your customers, and is therefore one of the most effective tools for driving sales. There are plenty of statistics to support this view; research conducted by McKinsey found that the average order value of a professionally templated email is at least three times higher than that of social media, and according to the Direct Marketing Association email marketing sees a return on investment of around 4300 percent. This may seem obvious, but the fact that you own your list is a huge factor in why it is so successful; unlike social media where you are reliant on being complicit with another company’s policies, you are in complete control when it comes to your list. The ratings systems for social media can make it difficult for your posts to even be seen by your followers, and then there is the matter of competing with the wealth of distractions that exist in their feed. As a result, you are six times more likely to get a click-through from an email campaign than you are from a tweet, as says Campaign Monitor, and therefore ultimately email is 40 times more effective at getting new customers than Facebook or Twitter, according to research by McKinsey. Being able to segment your contacts is a huge advantage that no other form of business interaction can offer. This may not seem so important, but differentiating between certain demographics and groups of customers will allow you to approach them all in a slightly different way and therefore achieve better response rates. Studies have found that segmented campaigns increased revenue by 760 percent and personalized emails deliver six times higher transaction rates. The fact that your communications land directly into your contact’s inbox is a huge benefit when it comes to marketing. According to a study by Nielsen, 60 percent of consumers prefer to buy products from a familiar brand, so clearly becoming a regular presence in your customer’s email is very important in order to stay top of mind and make them feel more comfortable with your business. It also opens up the potential for a one-on-one dialogue, where your customers and leads will be able to contact you directly and in private should they require more information about your business and what it can offer them. New product introductions – If your company is launching a new product or service than sending out an email campaign is one of the best ways to get the word out. Relying on your website or social media pages alone can mean that many of your customers miss out on learning about your latest offering; so why not tell them directly? Special offers – Everyone likes to save money, so including a special deal in an email campaign can prove lucrative. Whether this takes the form of a discount, a free trial or a buy one get one free deal, offering a limited-time deal can often turn curious leads into buyers a lot faster. Sending invites – When it comes to increasing ticket sales or RSVPs for an event your business is holding, email is still king. Whether it be a conference, presence at a trade show or a webinar, extend the invitation directly to your customers for a more direct and personal approach. Offer some kind of early-bird incentive and you should see an even greater surge in responses. General updates – Ensuring that you have a regular presence in your customer’s inbox is important to build a strong brand awareness and ultimately to make sure that they don’t forget about your business and look elsewhere. Make sure your business is always one step ahead of the competition by sending regular updates to your customer base. How Do I Find The Best Contacts? When it comes to sourcing the best purchasing and procurement contacts for your list there are a number of ways in which you can encourage people to sign up to your mailing list. For example, you could offer incentives such as discounts, free trials or access to special reports, you could collect them in-person at events such as trade shows, or you could run a contest on social media. Location – Are you just looking for purchasing and procurement professionals in a certain country? Seniority level – In order to ensure that you are only reaching out to people who can actually make purchasing decisions, you need to narrow your search down to C-level professionals, Directors, VP, Managers, Heads of Purchasing/Procurement and Senior level purchasing/procurement executives. Employee size – Should you want to solely target executives that work in companies with less than 1000 employees, for example, you should use this filter. How Do I Create A Successful Email Campaign? When the time comes to build your first email campaign, you’ll probably need to sign up to an email marketing service. Though it may be tempting to use a free service such as Microsoft Outlook, this generally isn’t advisable as you will face a daily cap on the number of emails you can send and you’ll also be missing out on valuable tools such as detailed business analytics and those to help you segment your contacts. There are plenty of affordable services on the market; they all offer reliability when it comes to deliver-ability and also represent good value for money. Content and subject line – Make sure that both of these are engaging as possible and really grab the recipient’s attention. Include pictures, charts and interesting facts in order to make your messages stand out. Call to action – Always remember to include a clear and persuasive call to action. It’s also worth noting that using a call to action button instead of a text link can significantly increase conversion rates. Sender reputation – In order to achieve the best rates of delivery possible, you need to protect your server IP reputation by making sure that you are not carrying out any activities that could incorrectly see you identified as a spammer. For example, avoid using spammy language such as ‘free’, ‘prize’ or ‘opportunity’ as well as excessive capitalisation or odd fonts and punctuation. Follow up – Your first campaign will usually have the lowest response rates, while second and third emails often do much better. With this in mind, don’t be afraid to follow up – as long as you are sending no more than one email every 15 days then your updates will not be seen as spamming. Clean data – Research has shown that B2B data decays at a rate of 2.1 percent every month, and sending mail to old or invalid email addresses is not only redundant but could also land you on a blacklist for being identified as a spammer. With this in mind, we recommend sourcing new data after sending your first three campaigns to purchasing and procurement professionals. For those who have purchased access to our database this is extremely easy to do as we add new contacts every day, and have no limits on exporting your lists.